Question: How should someone select a surgeon? 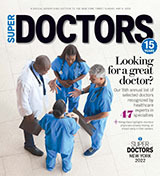 Answer: Successful outcome from surgery depends largely on the patient selecting the surgeon most experienced in the procedure and technique required with equal expertise as a diagnostician. Consider board certification, fellowship training, and frequency with a consistent team of clinicians performing the specific surgical technique you require. A second opinion is important. If a doctor discourages it, he is likely not for you. Beware therapeutic choices with limited clinical support and outcome data. Beware advertisements, print or websites as they will likely not be commiserative with the surgeon's competency. Question the doctor's overall care with patients in the waiting room; speak to the doctor's patients who have undergone similar surgeries; ask about optimal preparation and post-operative rehab. Make sure surgery is performed in a hospital with an excellent record of low complications and positive outcomes. Commitment to the process of recovery from orthopedic/spinal surgery with recommended changes in lifestyle and regular maintenance exercises is imperative.